The live version of the classic track is set to feature on the 50th anniversary edition of the group’s legendary album, Pet Sounds, scheduled for release on the 10th of June. 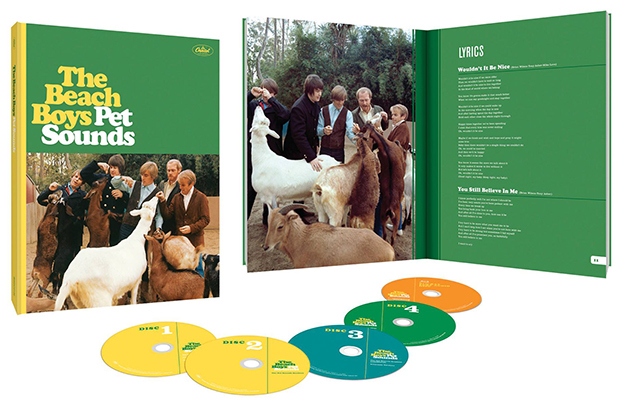 Voted Uncut magazine’s “Greatest Album Of All Time”, Pet Sounds needs no introduction. The 50th anniversary edition is available in several forms including a 4CD/Blu-ray Audio collectors edition. Presented in a hardbound book, the anniversary collection features the remastered original album in stereo and mono, plus hi res stereo, mono, instrumental, and 5.1 surround mixes, session outtakes, alternate mixes, and previously unreleased live recordings. You can hear the previously unreleased live recording of “Sloop John B” below.